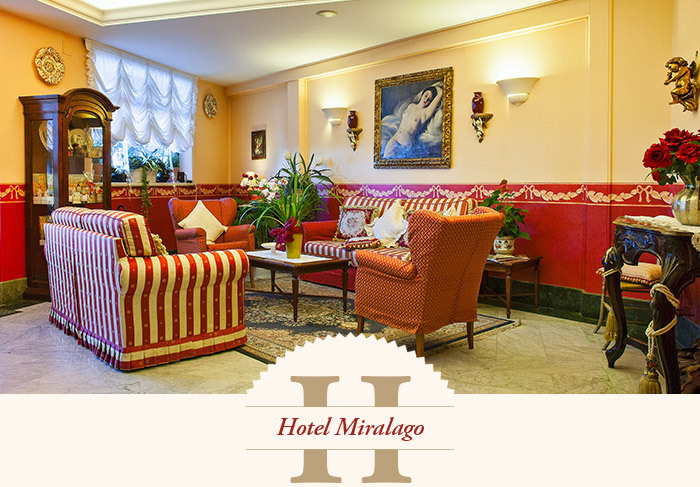 The property of Hotel Miralago has several outdoor services , some are natural, others are designed and furnished with care to ensure maximum comfort. 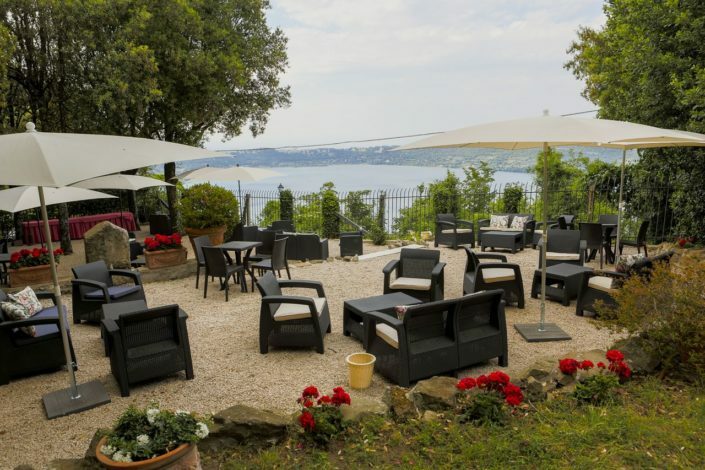 One of these is the beautiful “Terrazza dei Ciliegi” (Cherry Terrace), built in 2017, a true oasis of peace with Lake Albano view. 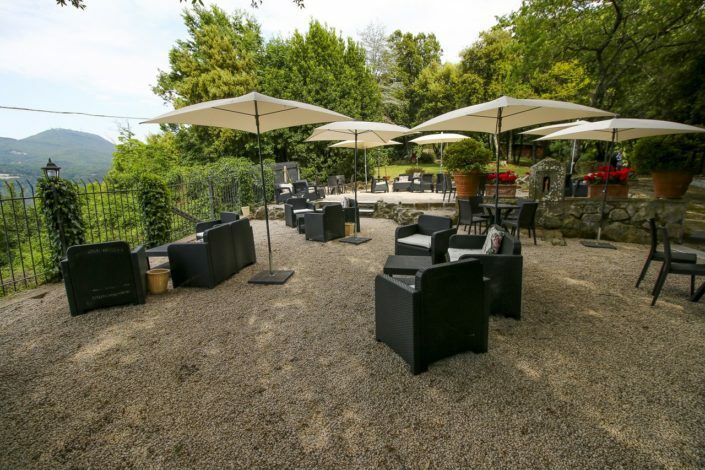 On request you can book the terrace and reserve it for several occasions with a delicious appetizer, finger food recipes buffet, or cake cutting for wedding, birthday, anniversary or other special events. 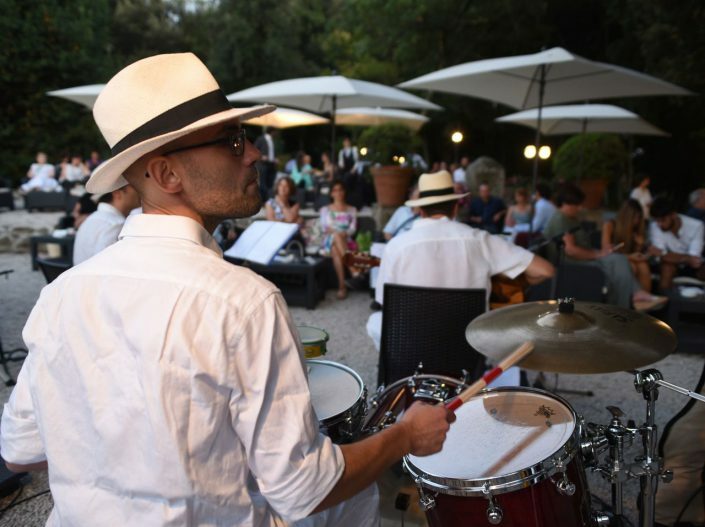 The atmosphere can be enjoyed with live music played by Francesco Ferilli, a graduate of “Santa Cecilia Conservatory” ( National Academy of St Cecilia) which also cares for the choice of artists who interpret the different musical genres. Themed events are organized in conjunction with Easter, “Ferragosto”(Feast of the assumption) , Christmas and so on. Great care was devoted to furniture, consisting of black rattan sofas, sunshade design umbrellas, tables, pillows and decorative plants. 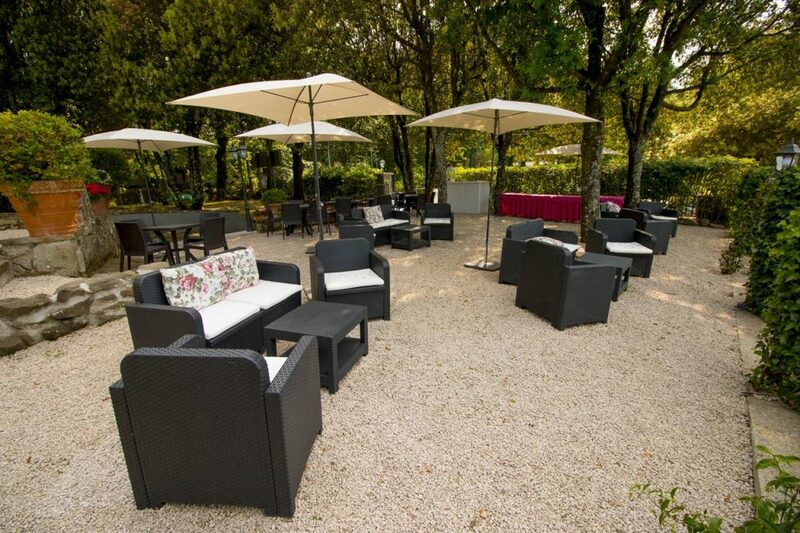 “Terrazza dei Ciliegi” (Cherry Terrace) can accommodate up to fifty people and it is a dog friendly environment. 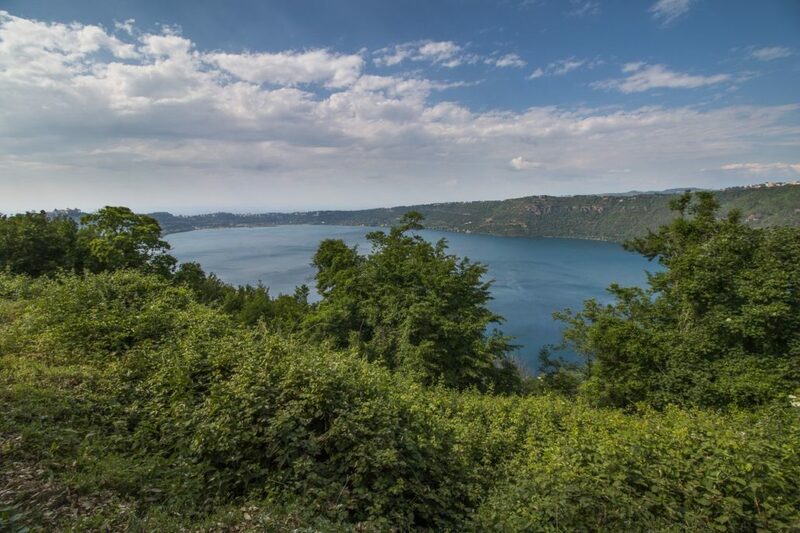 The opening period follows the weather conditions and consequently follows from June to the end of September. 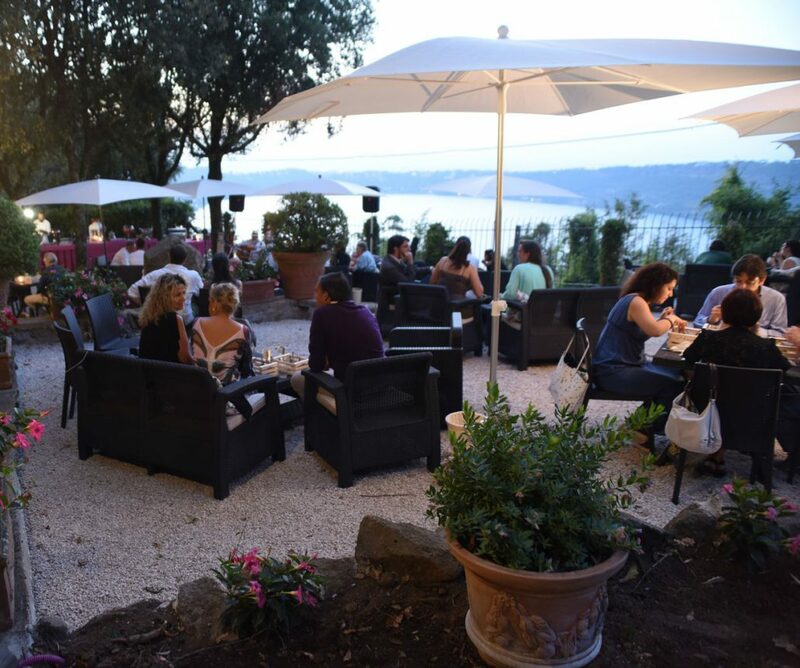 No restriction on time: the terrace is open for lunch or dinner, in the afternoon or evening for dancing and having fun with friends. Our staffs are at full disposal of the guests and meet every needs of the bride and groom in order to make the day memorable and unforgettable. To book “Terrazza dei Ciliegi” (Cherry Terrace ) Send your request to the contact details on our contact page. You can also visit us at Hotel Miralago in Via dei Cappuccini 12 (Albano Laziale) and be amazed by the beautiful view from and around “Terrazza dei Ciliegi” (Cherry Terrace), mostly the unique amazing location such as Colli Albani (Alban Hills). We will be expecting you to cheer together!